OWS Uber Power Double Iridium is designed to operate under the most severe environment and it offers superior performance which is approved by car manufacturer. 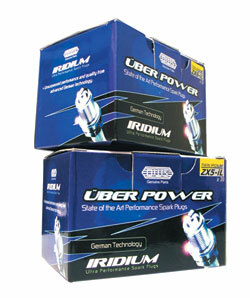 We offer the most professional precious IRIDIUM Alloy spark plugs in the specific heat range. Our Spark plugs have been tested in Germany for 400,000 km without any replacement. This is especially outstanding when compared to normal or even normal single iridium spark plugs which normally need to be replaced before 50,000 km because of excessive electrode wear. The hardness of iridium metal is 6 times more than platinum. "DOUBLE TIP" technology has been adopted as standard application for high performance BMW, Mercedes Benz and Porsche engines as their OEM (Original Equipment for Manufacturing). 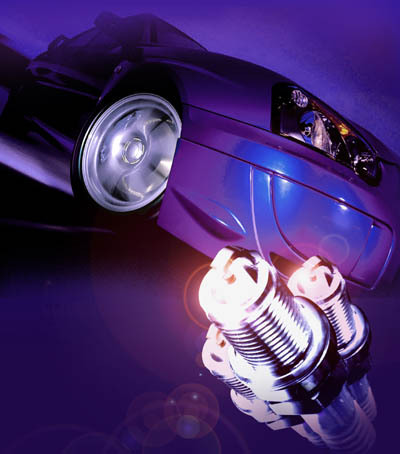 For these reasons, OWS sparks plugs was developed giving you the benefits of deep pulling power, instant start in all seasons, intense acceleration, high RPM stability, improved fuel economy and reduced gas emissions. Be sure to choose OWS when you next service your car and blast off into the future.